Fahrenheit 600 has an amazing assortiment of delicious bread related dishes and pizza's. We tried their vegetable pizza with greek feta, avocado toast with poached egg, smoked salmon salad and last but not least we shared a piece of warm apple pie (simply couldn't resist!). All of these dishes were so incredibly good! Also make sure to try some of their coffees - they were among the best we've had during our Asia travels! I felt like the happiest kid in the world while having a cup of homemade coconut ice cream coffee for dessert. The restaurant is located a bit outside of the KL city centre, but definitely worth the taxi/uber ride! For a delicious and more fancy dinner experience (with the best view in town) you should make a reservation at Atmosphere 360. 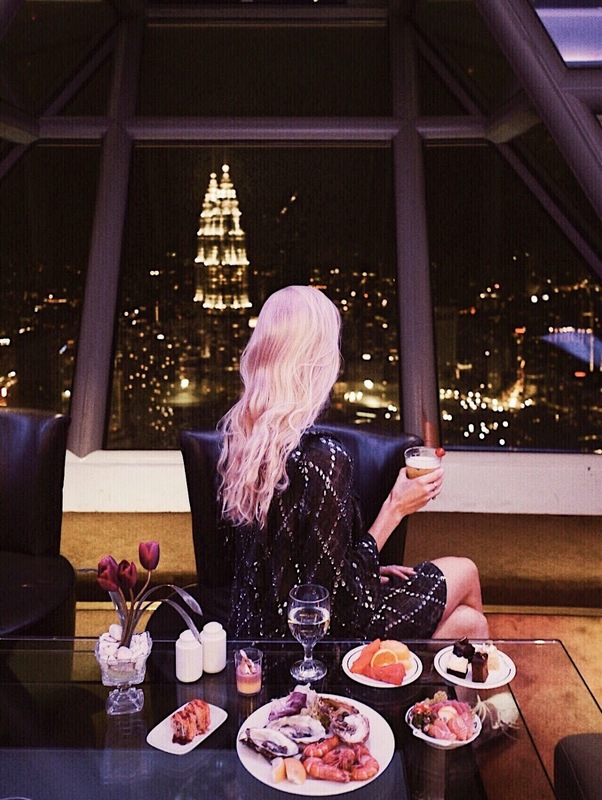 The restaurant is located on top of the famous Menara Kuala Lumpur tower. What makes this place special is the fact that the seating area is constantly rotating. This way you will be able to see each side of KL's impressive skyline including the famous Petronas Twin Towers. Definitely the perfect place for a romantic dinner or celebration. Regarding the food: you can choose your own dishes from an extensive buffet. 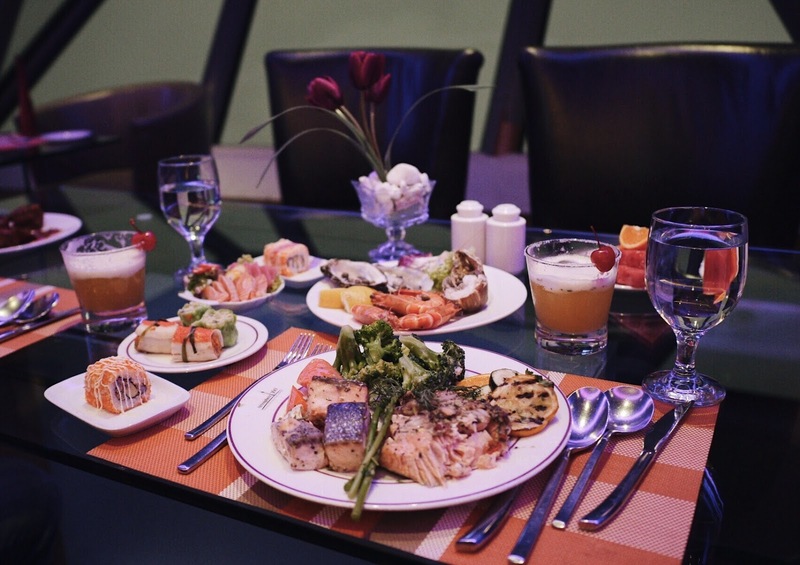 Think of freshly cut sashimi, sushi, all kinds of seafood, Malaysian dishes, lots of vegetable and salad options and a huge variety of yummy desserts (it was so hard to make a choice!). Also their signature drink was great! The Atmosphere 360 staff made our dinner experience even more perfect by being kind and helpful at all times. This hotspot has just recently opened its doors but is already doing a great job. But how can it be else with such good quality acai bowls? Their peanut butter/cacao acai bowl was my absolute favourite! Another favourite for breakfast or lunch in Kuala Lumpur is Pickle & Fig. Their coffee is really good and they serve some super delicious (and affordable) smoothiebowls, sandwiches and salad bowls. Make sure you try their smoked salmon poke bowl and avocado foccacia once you're there!